Locking key switch System on indicator LED. Rear panel has a circuit board with a bull size barrier strip for field wiring connections. 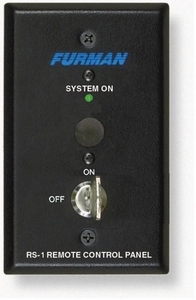 Can be easily installed a single gang switchbox with a minimum depth of 1-1/2". Includes a maintained start on/off sequence push-button.